The neoclassical architecture was thought to be bringing one closer to nature, as opposed to the medieval one that fortified one against it. Austen, the devoted fan of William Gilpin, was ever aware of it. Pemberley is a prime example of an estate owned by a man who embraced the new worldview. Darcy’s house, perfectly situated when looking at it from the outside, opens to the park when looking from the inside. Every window offers a different point of view on the surrounding scenery. The windows of the saloon open to the ground, leading directly to the lawn outside. Indeed, at Pemberley the lines between the house and the garden blur, and by extension the man and his estate become one. The quiet elegance of his rooms speaks of his taste, just as the informality of his grounds speaks of his manners and mind. 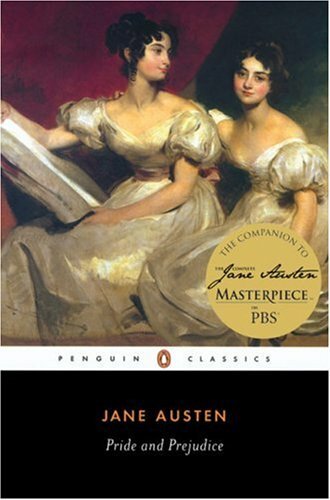 To Elizabeth to be mistress of Pemberley means to be mistress of Darcy’s heart. My English Country Garden Blog flashes out the details that would be so familiar to Austen’s contemporary reader. The various kinds of plants, their scent, colours, forms, meaning and history described with gardener’s taste and intuition create splendid images of the haunts our favourite heroines and heroes were fond of so much. Oh! Thank you so much for mentioning my blog: I am very honoured by all this attention 😉 For I can assure you, that like my literary heroine..
You’re very welcome! And thank you for your great work. I’m an admirer of the English Country Garden blog you mention, and am enjoying exploring yours as well! Thanks in particular for posting the C.E. Brock illustrations. I’m glad you like it. The illustrations are great, indeed! My husband and son are the gardners in the family (I, unfortunately, have the blackest of thumbs and can kill innocent, unsuspecting plants in mere days), but I do love walking through beautiful gardens, and I enjoy reading about them, too :). I’ll definitely check out the link! My grandma could always foresee what would happen to a flower in my hands. But, like you, I do admire the effects. Thank you! I’ll try to post something new soon. I know you aren’t keeping this up now, but Julie, I just love it anyway. What a fine job you do of every single thing!! I so appreciate you for everything from your Pemberley work to the Garden blog to Austen Only…and beyond. Thank you!! !